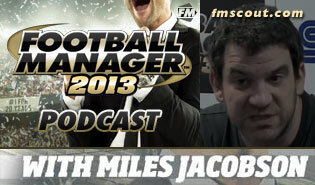 All Football Manager 2013 podcasts with Miles Jacobson in one place. 8th episode released on 14 December 2012. 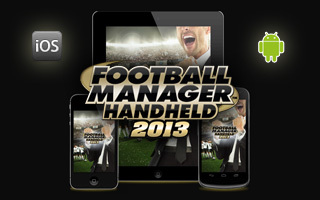 Sports Interactive announced the launch of Football Manager Handheld 2013 for iOS and Android devices on 13 December. YES! Finally!! 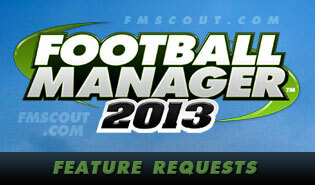 I can now fully enjoy FM13, thank you Eugene, thank you FMSCOUT!!! Public edition BETA 7 released today, 9 December! A fully featured assistant tool for Mac users. 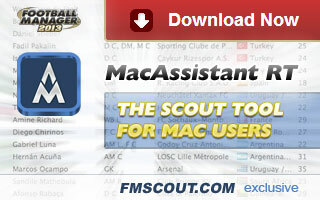 Now available to download for free, exclusively released here on fmscout.com ! 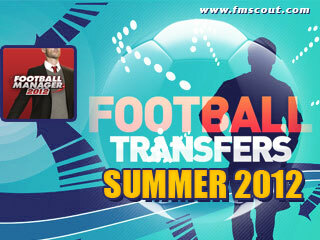 Today I, along with many around the world faced the temporary loss of fmscout.com due to hardware failure. Today we mourn, tomorrow we REBUILD. 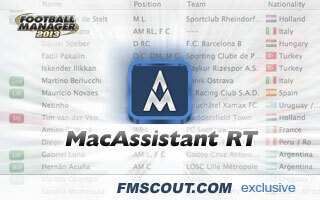 MacAssistant RT for FM13 is confirmed! 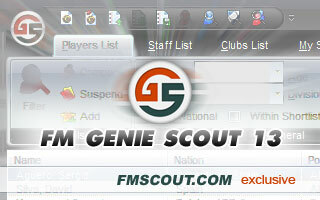 We'll be soon exclusively releasing a scout tool for Mac users only. 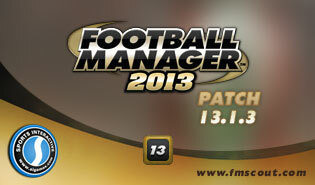 This is the 3rd FM13 hotfix update which improves match engine and also addressing various other bugs. 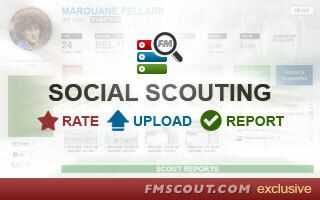 FM Social Scouting is launched! Your reference point for real players in FM. Find and Rate Players, Upload Screenshots and Write Scout Reports. 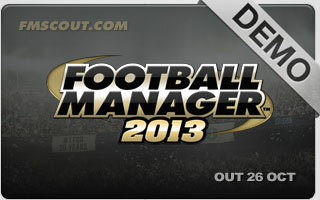 The time has come, FM13 final version is now available on Steam as of 00.01 GMT November 2nd. 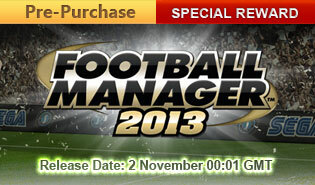 In other words, this is FM13 Patch 13.1.0. 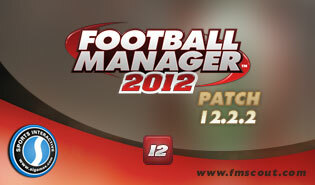 FM13 is a step up - it will take some time to get used to the new layout but it's still enjoyable and as addictive as ever. 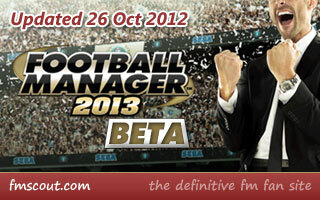 FM13 Beta Update out now! 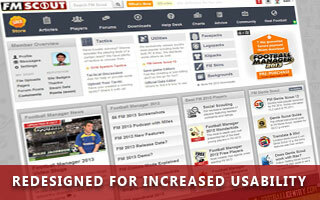 Sports Interactive have just updated the beta version just in time for the weekend! Simply close FM then launch again via Steam and it'll update automatically. Complete changelog included. 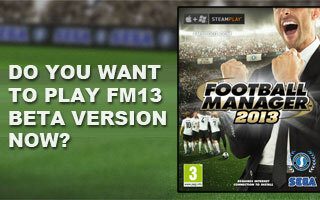 The beta version of FM13 is now available to download via Steam for all those people who pre-purchased from our store! So what exactly is this beta thing everyone is talking about? Answers to all your questions here. 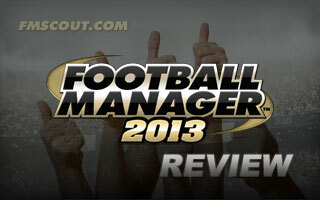 All Football Manager 2013 video blogs footage presented by Miles Jacobson in one page. The 28th video blog is the last one and takes look at some of the more general new features (Part 3 of 3). The top priority has been performance and usability. We care about user experience and strive to improve this place every year. 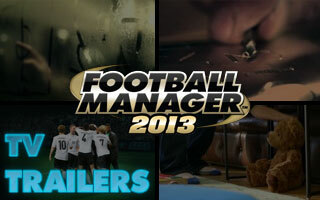 Three brand new TV ads for FM 2013. Perfect Your Formations. Taste Victory. Think Tactics. Always. 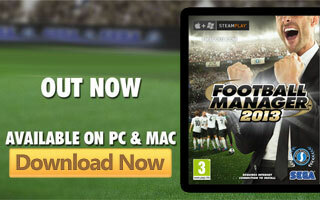 Football Manager 2013 release day is November 2nd at 00.01 GMT. Pre-purchase the game from our store to receive access to the beta version 2 weeks earlier! 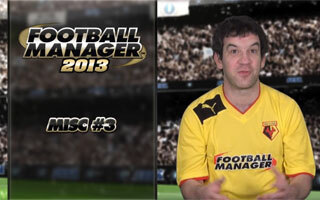 All FM 2013 screenshots in one place - 56 pictures as of 8 September 2012. 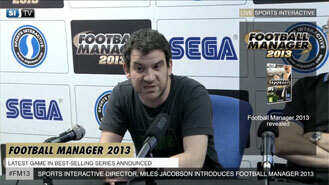 Sports Interactive released the first video to announce Football Manager 2013 in a press conference fashion. 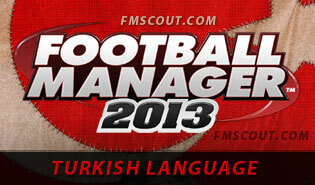 It is confirmed that Football Manager 2013 will include Turkish due to popular demand, after having reached a certain sales milestone. 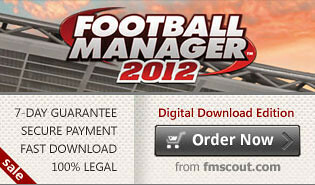 Pit your wits against other fans for Europe's top and win exclusive fmscout.com achievement icons! 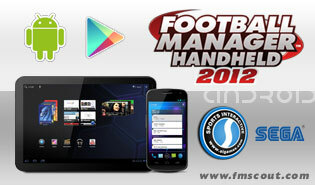 The launch of Football Manager Handheld 2012 for Android has been announced for April 11th 2012. Handcrafted in Symi, Hellas. Page created in 0.739 seconds.